The Hillsborough disaster that saw 96 Liverpool fans lose their lives at a football match happened 22 years ago today. That’s such a long time ago now it’s understandable that some people won’t really know what happened – for all kinds of reasons. It’s also true that many people still believe the lies that were told in the days that followed. Two years ago, for the twentieth anniversary, a great deal of effort from a small number of individuals led to the publication of what was described as “The Dummies Guide to Hillsborough”. It’s available online and allows anyone with any amount of knowledge of the disaster to confirm their own understanding or to learn something new. That year, the 20th, saw Labour MP and then-minister Andy Burnham speak at the anniversary service. Although he was jeered by supporters tired of waiting for successive governments to act on the shameful cover-up he made promises that he would do all he could to get those documents made available. Two years on and the progress on that project was discussed by the Bishop of Liverpool in an interview with The Guardian’s David Conn.
You can read that interview here: Hillsborough Family Support Group’s long wait edges towards conclusion. 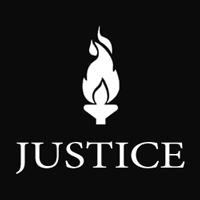 You can also read a little of the background to that from 2009: “Not ‘justice’ but full truth may finally be possible for Hillsborough victims” – The Guardian. The club’s official website has published 96 answers to the question “What does Hillsborough mean to me?”. This is split into five parts and features contributions from a wide range of people. The annual service takes place at Anfield today. The stadium opens at 1pm, the service begins at 2:45pm. As always the service will be very moving and will include the lighting of a candle for each of the 96 victims, whose names will be read out, and of course the singing of “You’ll Never Walk Alone”. One of today’s speakers is Jimmy McGovern, a man who did a great deal for the disaster by writing the ITV docu-drama “Hillsborough”, bringing The Truth into the homes of millions of viewers who maybe hadn’t realised what had really gone on. If you can’t get to Anfield today you can still see the service online or on TV – and if you can’t see it live it will be repeated. More details on that, again from the club’s official website, here: “How we’ll cover Hillsborough”.